NGC 3953 lies approximately 56 million light years away in the constallation of Ursa Major. It spans 111,000 light years, slightly larger than our Milky Way. 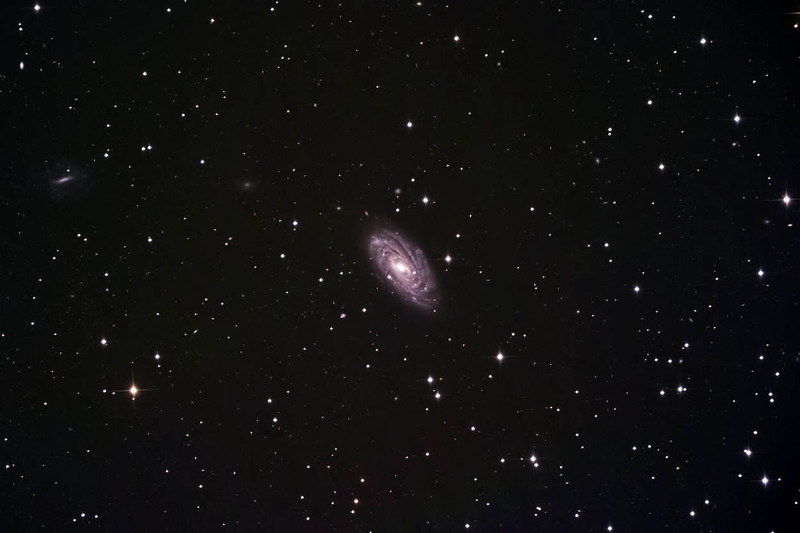 It is part of the Ursa Major North galaxy group of which M109 is a member. This galaxy is a barred spiral with a tightly wound structure surrounding the bar. It contains many young stars. Supernovae were observed in it in 2001 and 2206. Many background galaxies are visible in this image. Images were focused using camera's live view with a Bahtinov mask. The subframes were captured, aligned, and combined with ImagesPlus. The composite image was adjusted in Photoshop. Topaz Detail and DeNoise were applied. Shot from my backyard observatory in southeastern Minnesota on 3/30/19.